1. Mix all ingredients for the batter. Shape the dough and knead for 10 minutes. Divide the dough into 4 equal pieces and make 4 equal rolls. Let the dough prove on a tea towel for 45 minutes. 2. After proving, roll out the 4 rolls to a thickness of about half a centimeter. Mark the dough with a mold. Drop a tuft of peanut butter and a little jam in the middle of the marked square. Fold the dough over and cut out the shape. 3. Bake the shapes in oil at 180° C. Turn the shapes after 4 minutes by pressing them with the skimmer. Fry the other side for another 3 minutes. Drain the Willempjes in a colander and lastly roll them in the cinnamon and sugar mixture. 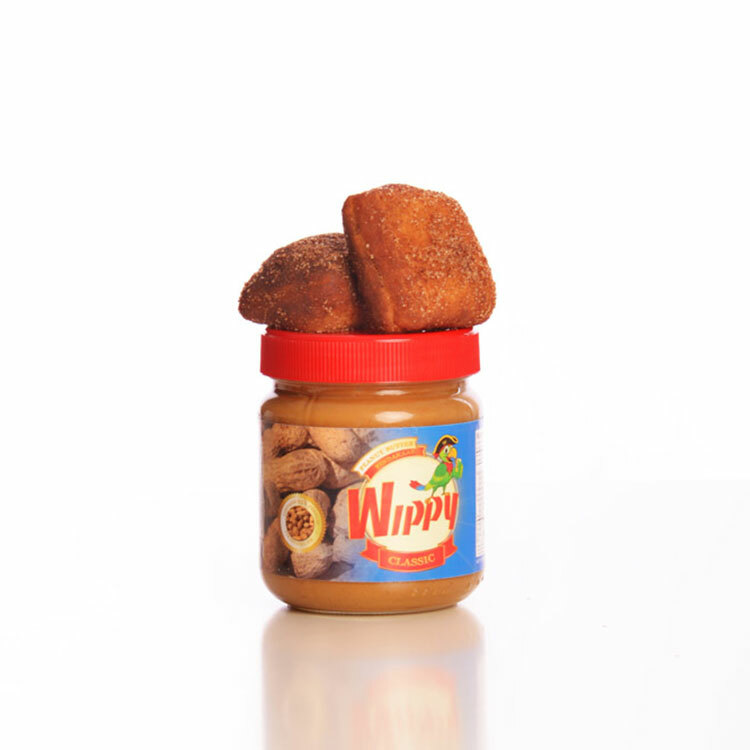 Replace the contents of the Willempjes with our Wippy Sugar Free Peanut Butter and a random flavor sugar-free jam.